Elizabeth was educated at the Pirongia School - her father was publican at Alexandra and she met her husband Thomas Kirk in July 1877 he was a Constable in the Armed Constabulary and also Clerk to the Resident Magistrates Court there. Thomas had entered the public service in 1869 and until 1876 was at Alexandra before being appointed Clerk of the Court for the Waikato District and was stationed at Hamilton. 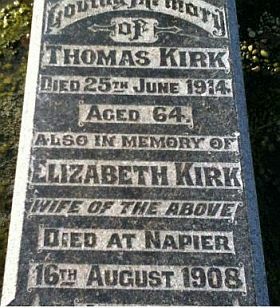 Elizabeth married THOMAS KIRK 03 Jan 1878 in St. John's Church, Te Awamutu. A special licence was required as she was not yet 21. Auckland Star, 3 January 1878: KIRK.—FINCH.—On the 3rd instant, by special license, at St. John's Church. 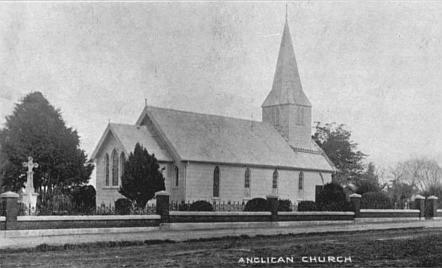 Te Awamutu, by the Rev. L. C. Brady, incumbent, Thomas Kirk, Esq., clerk R.M. Court, Alexandra, to Elizabeth, second daughter of Thomas Finch, Esq., of Ngaroto. Poverty Bay Herald, 20 July 1901: The unfortunate accident that occurred on the football field on Saturday afternoon last has terminated fatally. Mr Thomas Kirk, captain of the Kaiti team, having succumbed to his injuries and quietly passed away at the Hospital at 6 o'clock this morning. The news of his death was received with very general and heart-felt expressions of regret. Kirk was an extremely popular young fellow, and was a first-class footballer - in fact, he was one of the best three-quarters in the district, and would certainly have been chosen as a member of the representative team had he not met with the sad mishap that has brought about his death. As explained in our report of the match, the occurrence was purely accidental, and no blame is to be attached to Donald Porter, with whom Kirk came into collision ; in fact, as stated yesterday, Kirk sent for Porter and frankly told him that he was not responsible for what had happened. 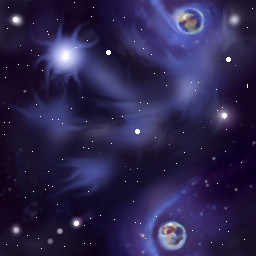 Under the circumstances, Air Barton, S.M. and Coroner, has instructed Sergeant Siddells that if he finds the facts as stated there will be no need for an inquest. The body is to be taken for interment at Hamilton by Wednesday's steamer. We can assure Mr and Mrs Kirk that the very deepest sympathy is felt for them in their sad bereavement by all the young men to whom their son was so well and favorably known, and indeed by the whole community. In consequence of Mr Kirk's death, all football fixtures for today were postponed. "Recruits posted from the Wellington and Hutt Valley area to the specialist railway, engineering, and forestry companies for service overseas, in addition to those published yesterday, are as follows:— 12th RAILWAY SURVEY COMPANY (Trentham). C. N. Johnson.."
5 Robert Kirk: (Born: 15 Mar 1892 - he died on 16 Jun 1930 in Christchurch aged 38 yrs.) In 1917 he was living at 357 Columbo St ChCh, a Pharmaceutical Chemist working for his older brother Edward Kirk when his military call-up came War service He returned to Christchurch to his Chemist work and he conducted an orchestra at the Crystal Palace Theatre. This was new - Christchurch’s purpose-built picture theatre to screen silent films shown to the accompaniment of an orchestra. In addition to his work in 1919 and 1920 with the Crystal Palace, he was the conductor of a small local group, the Lyric Orchestra.